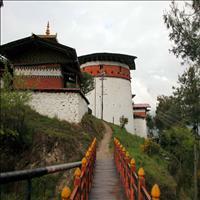 Jakar is a small town in the central-eastern region of Bhutan. It is the district capital of Bumthang District and the location of the regional dzong - Jakar Dzong (constructed in 1667). 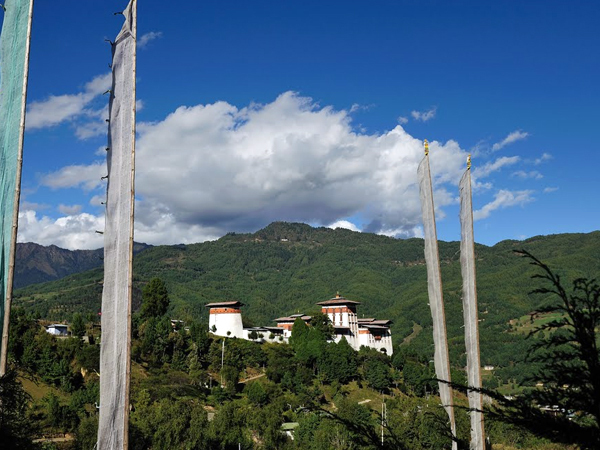 The town has significant Buddhist sacred sites, such as Kurjey Lhakhang, which holds a body print of Guru Rinpoche and Jambey Lhakhang, one of the 108 monasteries that in mythology were miraculously constructed by King Songten Gampo in one night. In addition, one of the country&apos;&apos;s largest monastic colleges, Lhodrak Kharchhu Monastery, is in Jakar. Jakar (altitude 2,800 m) is the principal administrative town of Bumthang district in the north of Bhutan. Located in the spacious and tree covered Choekhor Valley, the area is also a popular tourist destination, and consequently the town is served by several good quality hotels and craft shops. Strong winds make Jakar a very cold place in the winter, with temperatures often dropping as low as -6°C. The best time to visit the area is from late May until the end of September. Initially built as a monastery by Zhabrung''s great grandfather Lama Ngagi Wangchuk in 1549 and later in 1646 Zhabdrung Ngawang Namgyel built it into Dzong. 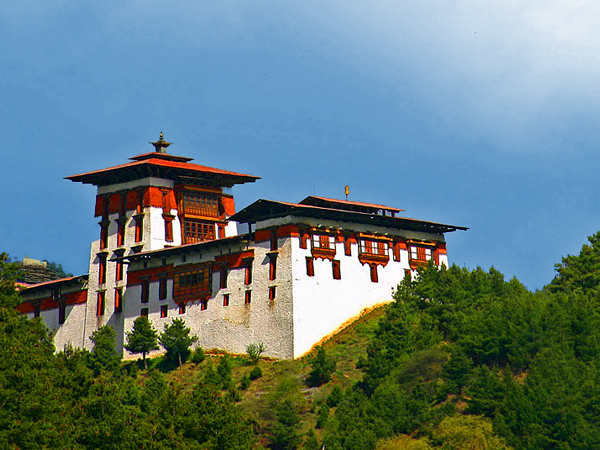 It is the largest Dzong in Bhutan with a circumference of more than 1.5 km. 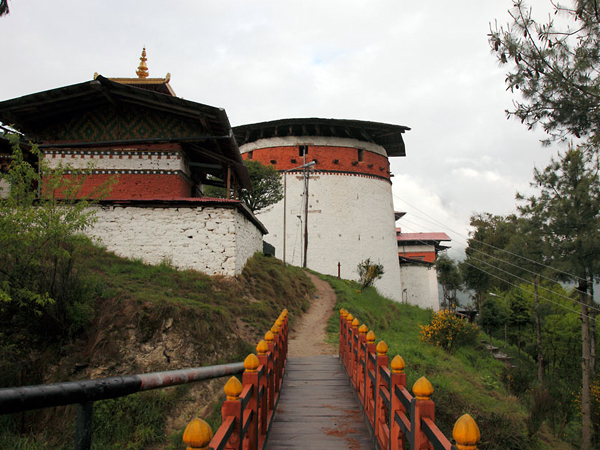 Now the Dzong houses the administrative seat to the Bumthang district.